The mod is powered by an Aethon microchip, which has an advanced and easy to use temperature control. It supports Stainless Steel 316L, Nichrome 200 and Titanium. The 4500mAh battery lets you to vape throughout the day. The 2Amp charge will charge the mod in no time. 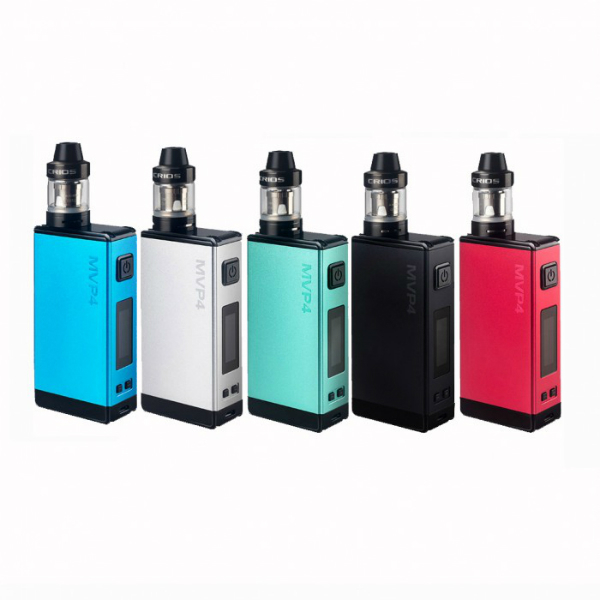 Innokin MVP4 SCION Kit is an addition to an already great Innokin wide assortment. Not only it’s technical characteristics is great, but the mod itself looks solid with its colorful finishes. The mod comes in five different colors which are: (White, Black, Cyan, Red and Light Blue) it makes the build look even more superior. You feel completely free choosing what color you’d like to pick because all five colors look nice and smooth. The mod is powered by an Aethon microchip, which has an advanced and easy to use temperature control. It supports Stainless Steel 316L, Nichrome 200 and Titanium. The 4500mAh battery lets you to vape throughout the day. The 2Amp charge will charge the mod in no time. Moreover, using the 2Amp Micro USB Quick Charge you’ll have the power to vape and charge your phone or any other electronics. So it won’t be a bad day because of some devices power will be out. The Innokin Mvp4 also features the pass-through technology, which enables vaping while charging. It is a big plus for vapers out there who are tired of waiting. This box mod has anti-dry hit technologies, charging and overheat safety protections. The large, bright LED screen which will clearly show the specifications. Also, the design is definitely worth the price. The mod can go up to 100 Watts, so you won’t have to worry about the lack of power. The SCION will please every vaper because it’s designed for vapers seeking clouds or a great flavor experience. The 510 stainless steel threading also perfectly connects with any other RDA, RTA or RDTA. 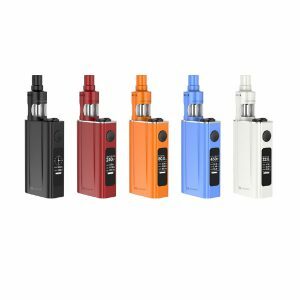 Overall, it’s great for any beginner or experienced vaper, because It’s has a simple but a great design, good specifications, and protection. 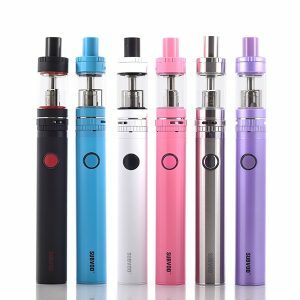 Overall, It’s great for any beginner or experienced vaper, because It has a simple but a great design, good specifications, and protection. Temperature Control Mode: Ni (0.1-0.2ohm), Ti (0.1-0.5ohm), SS316L (0.2-1.0ohm) coils are recommended.